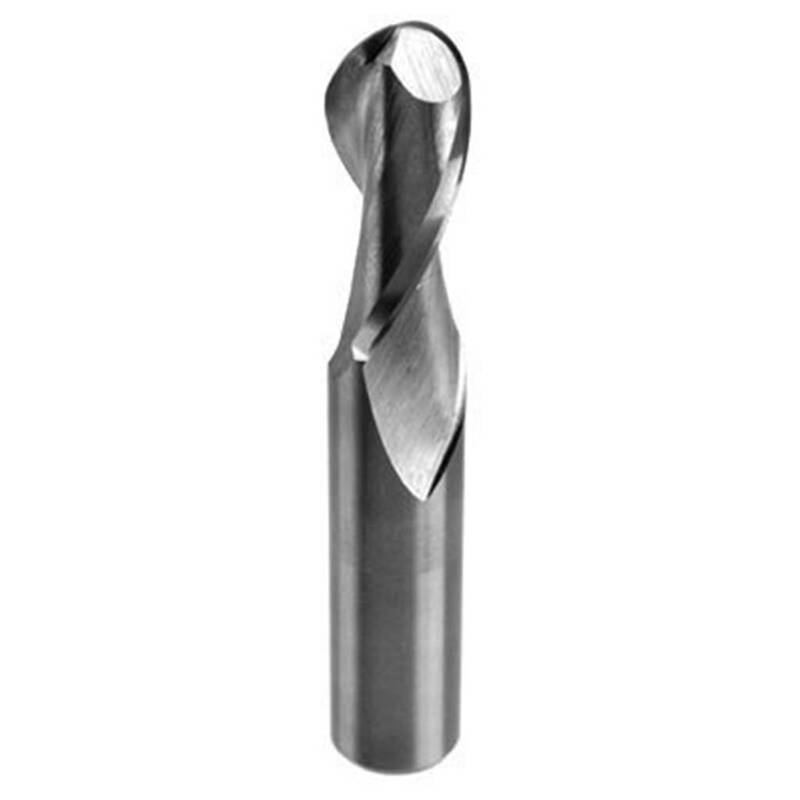 1/8" Solid Carbide Two Flute Upcut Ballnose for Plastics; Solid Surface; Aluminum; and Wood. Designed for carving and modeling operations. Their improved tip geometry gives a superior cut compared to most ballnose endmills. Plastic; solid surface; block & plate aluminum natural wood and wood composite. HELIX ANGLE = 30 °.